Dream Escape is a leading luxury travel design company and destination specialist offering the ultimate in exclusive and inspirational customised travel experiences to England, Scotland and Ireland. Their team of experienced creative planners, dedicated guides and expert curators handle every aspect of a client’s journey from concept to completion and their extensive contact book means that clients travelling with Dream Escape gain private access to attractions, sights and activities usually off-limits to the general public. Dream Escape prides itself on its high service levels, professionalism and discretion as well as its extensive experience in handling extremely high-end clients from across the globe. Already equipped with a logo and brand, Dream Escape approached Foundry Digital to improve the functionality, structure and usability of their current website. The previous structure was not meeting their requirements and wasn’t allowing them to give their visitors the user experience befitting of the luxury brand. At Foundry Digital we enjoy our on-going relationships that we have with our clients and are always glad to be able to help out in any way once the initial project has been completed. As such when Dream Escape came back to us asking for some email marketing materials to be created for them as well as help with their brand identity, we were more than happy to oblige. Instead of their previous layout, Dream Escape wanted the website to be structured in a way that allowed visitors to browse their itineraries by Destinations or Experiences. The Itineraries layout required in-depth planning to enable its complex structure to fit seamlessly into the website. Foundry Digital overcame the challenge of organising content by implementing a toggle function. 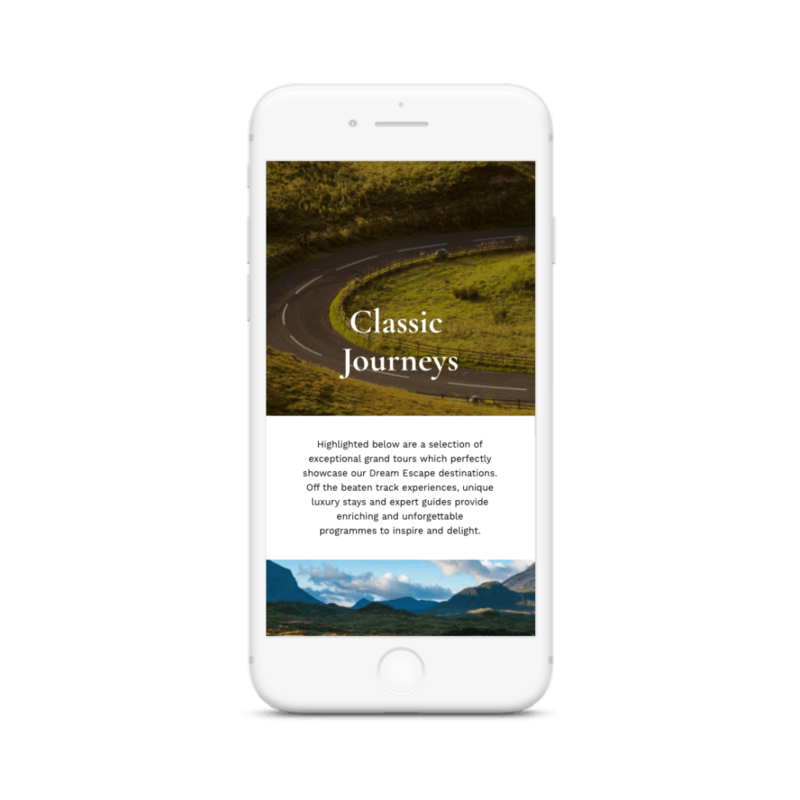 The luxury travel company also required email templates to be designed so that their business could be represented in a smart and professional manner throughout all levels of client marketing communication. Foundry Digital’s design team created visuals that engage readers and mirror the beautiful imagery on the Dream Escape website, which were then coded by our in-house developers. The resulting website structure gives users a rounded view of what Dream Escape offer, enabling them to move between information pages with ease and in a visually appealing way. The website is organised in such a way that allows visitors to navigate to the information they seek with ease. With areas for both personal and corporate site visitors, there are sources of inspiration for bespoke holidays and events, including an extensive calendar detailing events occurring in each Destination offered. As well as this, throughout the website there are also clear opportunities for visitors to get in touch and a slider feature displaying customer testimonials sits across the bottom of the page, boosting trust in the Dream Escape brand and encouraging visitors to start designing their custom trip today. 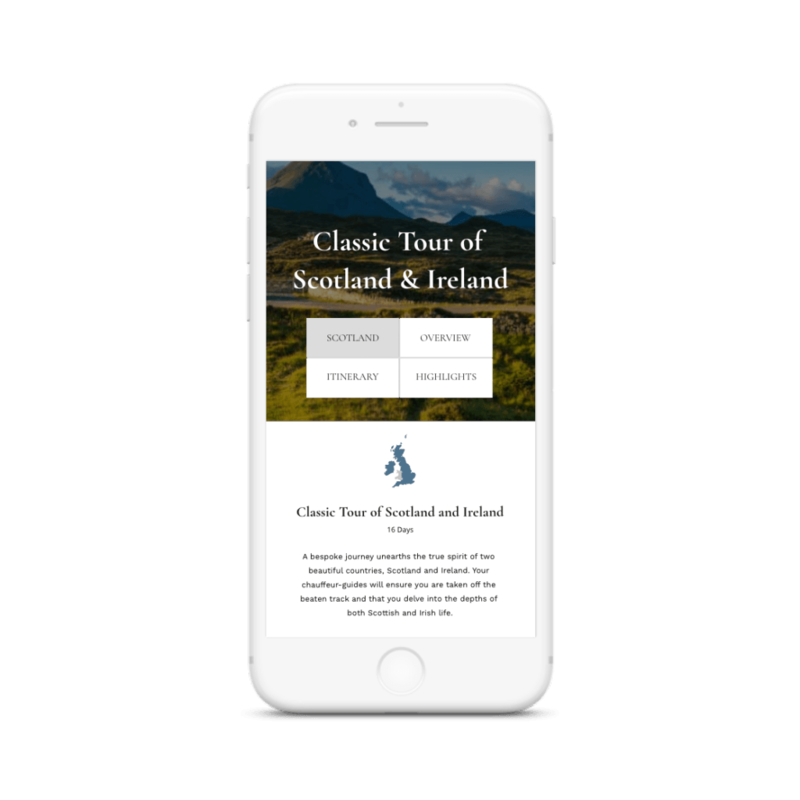 Visuals were understandably paramount when reconstructing the website, and as such the new design is centred around their stunning images of various locations throughout England, Scotland and Ireland. Across the website, it was ensured that crisp and enticing images were positioned onto the pages in order to invite users to learn more about different Destinations and Experiences that Dream Escape have to offer.